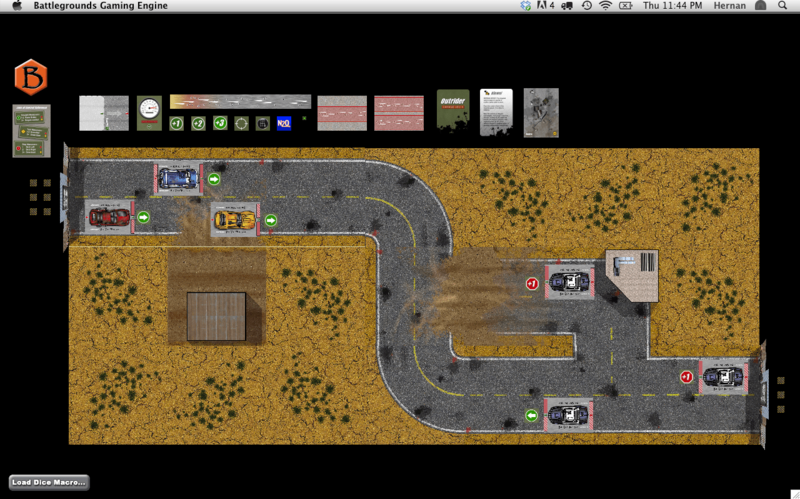 This is a BGE conversion of the print-and-play boardgame “Outrider”, by Gregg Lewis (web-published, 2010). This conversion includes not only the basic game, but also the two expansions that have been released for the game so far (“Dealin’ Damage” and “Tuner Cards”). This digital conversion of “Outrider” for use with BGE is being released with the game designer’s permission. Outrider is a game of post-apocalyptic vehicular combat that utilizes a unique blend of dice and card mechanics that create a fast-playing, highly detailed and customizable experience. 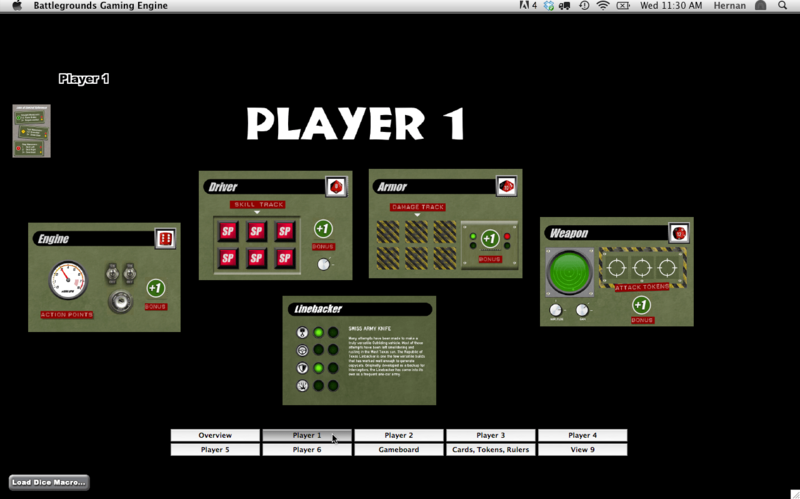 Four stand-alone scenarios are included, and you can also create your own additional scenarios.